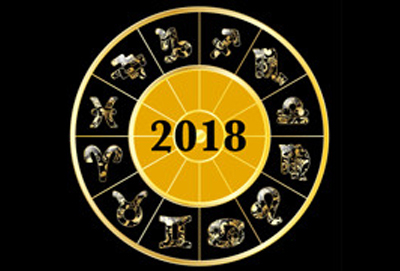 Aries, 2019 Horoscope promises to be an action-packed year, when all your dreams will finally come to life. Success will be yours through hard work and sincere efforts. The year will be eventful. You need to make sure that you leave laziness and overconfidence behind to grab every opportunity. Keeping your aggression under control will help you maintain better relations, as indicated by Aries Horoscope 2019. Your personalised fortune predictions for 2019. Detailed forecast on Income, Business, Love, Marriage and Health. Dear Aries, you must drive carefully. 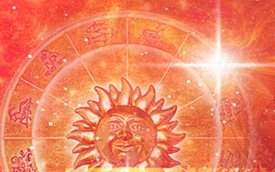 As March approaches, your tone may become harsh, indicates Aries 2019 Horoscope. Measure your words before you speak. A sudden gain is possible for you in March. Rahu, the dragon’s head, will be transiting from Cancer to Gemini in this period. You will see all issues related to land or house clearing out after this month. 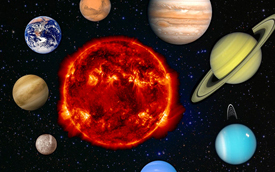 At the end of April, Jupiter and Saturn will be retrograde. Delays in work can trouble you and you may have to rework on your plans or projects. Some stress is likely to make you irate, according to 2019 forecast for Aries. The month of July 2019 seems auspicious and an optimistic turn of events will restore harmony in relations. New chances and opportunities at work will come your way around August and September 2019. Utilize your chances and time properly for maximum profits, Aries. Beneficial work related travels are possible and may take you abroad also, as per horoscope 2019. 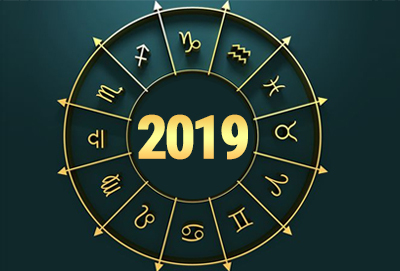 By the end of the year, you would successfully complete all pending work & projects, resulting in a better financial condition, says 2019 Horoscope for Aries moon sign. Jupiter will transit Scorpio in your 8th house, from January 2019 to 30th March 2019. From 30th March to 22nd April, it will transit Sagittarius, after 22nd April, it will again be transiting Scorpio till 7th November, and will retrograde from 10th April to 11th August. Saturn is transiting your 9th house in Sagittarius, for the entire year and will retrograde from 30th April to 18th September, as per Vedic astrology 2019 for Aries. As the year begins, Rahu will be transiting Cancer. From 7th March onwards, it will enter Gemini in your 3rd house. Ketu will also be entering Sagittarius in your 9th house from 7th March onwards. The year 2019 ahead brings mixed results for your career, Aries. At the start of 2019, work related confusion might trouble you. However, you will continue to work with full energy and zeal, and would not be afraid to take any risks. If planning to start a new work, then the period before June 2019 looks favorable. Carefully plan your work before acting on new ideas. Investments don’t seem to bring the desired profits in 2019 and you should be careful. Your career will pick up speed around September and new orders from a foreign company will boost your spirits as well as future prospects. Work related travels would continue till the end of the year. If in a partnership, you will have to work harder to get the desired gains from your business. Stress may prevail on the work front, if you are in a job. Stay alert and don’t trust anyone blindly, suggests 2019 Horoscope for Aries Moon Sign. Relocation to a place of your choice is possible. A new project will bring freshness, energize your life, and will be beneficial for you. Avoid clashes with your seniors or boss at all times. Chances of a job change will develop around September, where new opportunities and learnings would await you. If working in software or creative fields, then this year will be financially rewarding for you. Delays in income are likely and you should remain patient. You may plan to start a new business this year, as prospects look bright. Investing in your existing business around the end of the year would prove profitable. The year 2019 seems favorable for your love life, Aries. 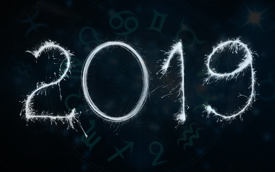 While 2019 may start on a rough note, with possible misunderstandings in relations, as time passes, matters will take a beautiful turn and your bonding with your partner will be very soothing. You may plan to take your love relation to the next step and consider a love marriage around mid-2019. If seeking a new partner, your wish is likely to come true after April and you may finally meet your future partner, indicates 2019 Horoscope for Aries. The period from October to November 2019 looks promising for matters related to love marriage, dear Aries. Married life seems soothing, as prevailing issues will mostly be sorted. There are chances for your partner to receive honor and rise in reputation this year, as per 2019 Horoscope. Be very diplomatic while handling sensitive issues and avoid getting angry if your spouse doubts you. Financially, 2019 looks promising for you, Aries. Although delay in payments is possible, you should be patient. New investments will bring delightful gains. After March, fiscal profits from a land related work are possible. From 22nd June to mid-August 2019, avoid investing or purchasing of land or property. 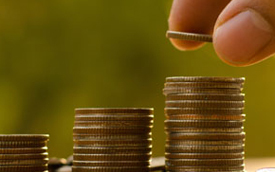 Consult your father or an experienced trustworthy person before investing in share market. Earnings from an old pending payment or interest can benefit you, according to 2019 Horoscope forecast for Aries. Difficulties related to loan are denoted in 2019 and you should keep all paperwork complete and at hand. You may spend on luxury items this year. After September, an unexpected offer may come to you that can greatly profit you. Consult your seniors before proceeding. A rise in income is quite likely around the end of 2019. Frequent short trips will keep you occupied in 2019, Aries. Pilgrimage or romantic journeys are quite possible. Work related foreign travels are on the cards. Avoid excessive traveling, especially from June to August, as it will result in a rise in expenses and a possible accident. This may stress you out mentally as well as physically. Trips taken after September will benefit you greatly. 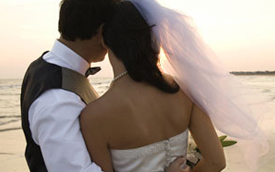 You may plan a trip abroad with your spouse this year. Aries, your 2019 horoscope shows a comfortable period for your family. Family will mostly support you this year. Spending quality time with family will bring you peace of mind. You will see any ongoing disputes related to parental property being sorted, and you will get your due. Your father’s health might keep you stressed around March and you should remain careful. Party and celebrations around mid-2019 will bring happiness and boost harmony in relations. Bonding with elder siblings will improve largely and relations with children will be cordial. If your children are interested in sports, support them and help them capitalize on a possible opportunity to play at higher levels this year. The year starts on a very energetic spirit for you and your excitement levels will be high throughout 2019. In terms of your health, you may see mixed results through the year. A skin or neurological ailment might keep you stressed and you should have it checked without fail. For peace of mind, plan a pilgrimage with parents or family. Take care of your mother’s health after 22nd June. Blood pressure related problems might trouble you before August. Maintain a healthy diet, drive carefully, and keep your anger in check at all times.